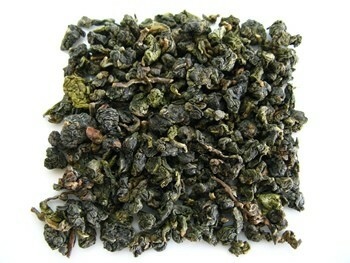 Dong Ding tea is one of the finest high grade oolong tea from Taiwan. 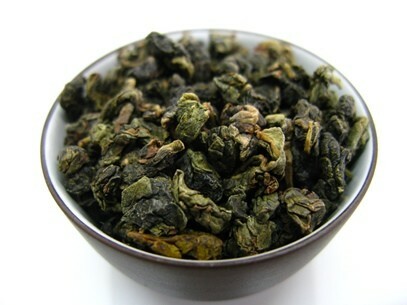 This lovely floral tea shaped like small dark green pearls has a naturally sweet and wonderful flavor. What makes this tea so amazing? Grown in the Nantou region in Taiwan, this tea is said to be the descendent of Chinese tea bushes and is processed in a unique way to achieve its own special shape and flavor. Refreshing, sweet, creamy and fruity at the same time, this tea may offer a variety of benefits with every cup you drink. Come and share a cup of a special oolong tea. What is Dong Ding Tea? Dong Ding tea is an oolong tea from Taiwan. Oolong teas are semi-oxidized teas, meaning that they are somewhere between black teas – fully oxidized, – and green teas – not oxidized. This particular tea is 20% to 40% oxidized. It is made up of a bud and 2 to 3 dark green leaves tightly rolled into pea-sized pearls with a fresh, fragrant and floral aroma. Dong Ding tea may also be spelled Tung Ting (or Tong Ting) and the name literally means Frozen or Icy Peak referring to the mountain range in Taiwan with the same name. This tea was first brought over to Taiwan in the 19th century from the Wu Yi Mountains in the Fujian province in China. A scholar brought tea trees and planted them in the Nantou region in the Dong Ding Mountains. Peaking at 1000m these mountains offer a combination of morning sunshine, afternoon mist, strong wind, humidity, rich soils and very skilled tea artisan. 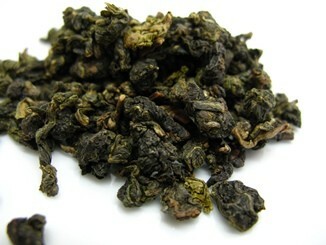 This brought about one of the finest oolong teas in the world that is still highly valued today. Plucking the best buds and leaves for this tea is mostly done by hand in spring, summer, autumn and winter. Being the spring and winter harvests the best teas. Withering: tea is laid out in the sun to reduce moisture inside the leaf and begin the slow process of oxidation. This oolong tea begins to get its unique freshness. Tossing: tea leaves are tossed onto bamboo trays and agitated. This tossing of leaves begins to bruise cell walls inside the tea leaf and enzymes begin the oxidation process and floral aromas begin to emerge. Oxidation: leaves are rotated in a bamboo drum and as oxidation takes place the edge of the leaves turns red. This process is halted once the desired moisture, flavor and aroma are achieved. Rolling: wrapping tea leaves in cloth, the leaves are then rolled and twisted with the right amount of pressure. This process of “bag rolling” is used to achieve exact oxidation for oolongs teas and shapes the leaves into their pearl shape. Drying: one of the final steps in the process is drying the leaves to reduce moisture down to 5% of the content and stop oxidation. Traditional Dong Ding still would go through a final charcoal roasting whereas more modern approaches overlook this step and achieve a greener oolong tea. What is true Dong Ding tea? While true Dong Ding comes from this region in Taiwan, there are oolong teas from other locations that share the same name because they use the same processing methods. This tea, like other oolong teas, is rich in many antioxidants such as polyphenols, catechins and flavonoids, which are responsible for many of the health benefits this tea has to offer. Teas like this one also contain vitamins, minerals, amino acids, enzymes and also caffeine. 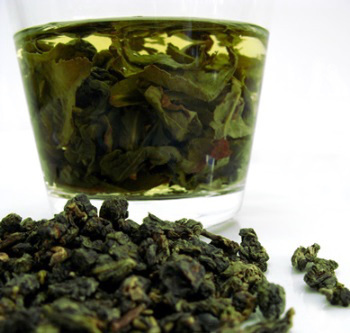 Let’s take a look at the benefits of this oolong tea. 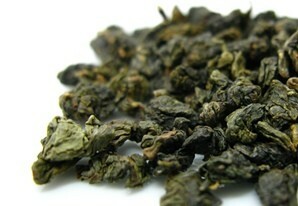 One of the greatest benefits of oolong teas like Dong Ding tea is its ability to help your digestion. If you suffer from indigestion or acid reflux then this is the tea for you. Antioxidants present in this tea help reduce acids in your stomach and speed up your metabolism. No more sluggish digestions as your body is able to break up elements in your food faster, absorbing what’s needed and removing waste. By improving your digestion, this naturally sweet tea may help you lose excessive weight and reduce the risk of obesity. Your digestive track may get rid of the fatty elements in your food, but a good healthy diet will certainly help as well. Naturally sweet means no need for additional sugars and the caffeine in this tea may help you also feel energized and motivated to work out on a daily basis. Drinking a daily cup of this oolong tea may help prevent heart disease. The components in this flowery tea may help with lowering both high blood pressure and high levels of bad cholesterol. Preventing the buildup of plaque and strengthening the blood vessels, is a way that tea may improve your cardiovascular health on a daily basis. A good cup of tea such as this is rich in vitamins that may boost your immune system, letting your body build defenses against diseases. Minerals, vitamins and antioxidants may help your body fight inflammations and bacterial infections and at the same time this oolong tea may have preventing action against the onset of illness. By reducing inflammation and preventing damage cause by free radicals, a daily cup of this tea may also improve your skin by improving eczema and even preventing premature aging. Rich in fluorine and calcium, this tea may help improve bone density and prevent osteoporosis. Besides strengthening your teeth, the antibacterial action in this tea may help prevent tooth decay and the appearance of dental cavities. Added bonus: such a sweet tea does not need any sugar, which can only mean good things for your teeth. Although more studies are still needed to establish the actual link between drinking tea and cancer prevention, some research has come out that links antioxidants with preventing damage caused by free radicals. Free radicals are elements brought on by stress, pollution and other environmental factors that may cause damage to your DNA and bring on tumors. So just the mere possibility that antioxidant-rich oolong tea may help prevent this is nice. 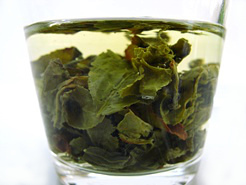 Dong Ding Tea and other oolong teas offer many common benefits, so have a look at more information about oolong tea benefits. Ready to try Tung Ting/Dong Ding? This oolong tea has a moderate level of caffeine. This tea traditionally contains a bud and 2 to 3 leaves. This amount of buds to leaves means it will contain some caffeine, but less so than teas that are solely made up of the bud or the bud and first leaf. The tea bush protects itself from pests and insects by storing caffeine in the tips of the plant, the bud and young leaves. This is why teas with buds and young leaflets have more caffeine than teas with no buds and larger, older leaves. Too much caffeine may cause headaches, nervousness and difficulty sleeping to the point of insomnia for the extremely sensitive. Heart palpitations may also occur. For some, caffeine may cause stomach problems and skin issues, when allergies may be involved. When pregnant or breastfeeding, check your doctor about drinking teas with caffeine, even moderate levels of caffeine as it may affect the growth of your baby. If you are sensitive to caffeine, try drinking this tea in moderation and never too late in the day if you feel it affects your sleep. Hopefully this should be enough. 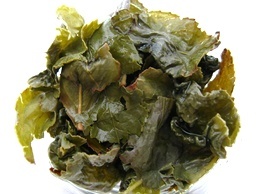 This oolong tea has a very special aroma and flavor that reveals itself with each infusion. So let’s take a look at how to brew Dong Ding tea and make the most out of this wonderful tea. 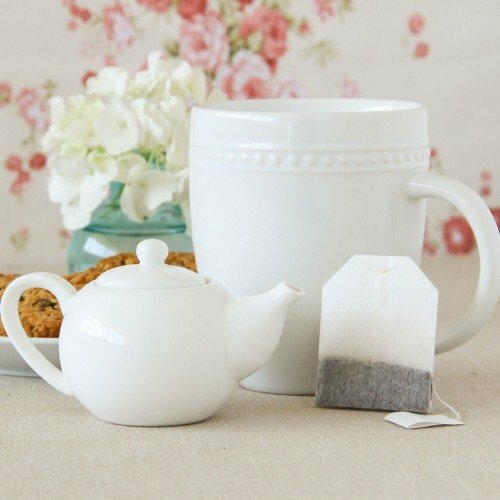 Choose a porcelain teapot that matches the number of cups of tea you plan to drink with each infusion so that you can drain the teapot completely in one sitting. 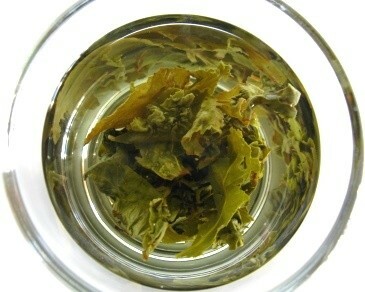 If possible, use white tea cups that allow you to see the actual color of the infusion. Preheat your tea ware by pouring hot water into each item and then tossing away the water. This will keep your tea warm for a longer time. Place 1 to 2 teaspoons of this tea in the teapot per cup of water (8oz / 250ml). This is just a suggestion to get you started. If you want a stronger tea, you should increase the amount of tea per cup. Heat water to nearly boiling point: about 95ºC to 100ºC (203ºF to 212ºF). Consider purchasing a thermometer if your kettle does not have a temperature setting. Pour the water into the teapot and get a timer, because this step may be rather quick. 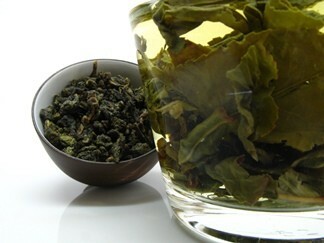 Generally, this oolong tea is brewed from 2 to 4 minutes. Less time will give you a milder tea, more will result is a strong tea. Leaving your tea brewing too long may result is a bit of an astringent flavor and may comprise further reinfusions. Pour your tea into the teacups making sure to empty the whole teapot. Tea leaves will stop brewing and may be reused. 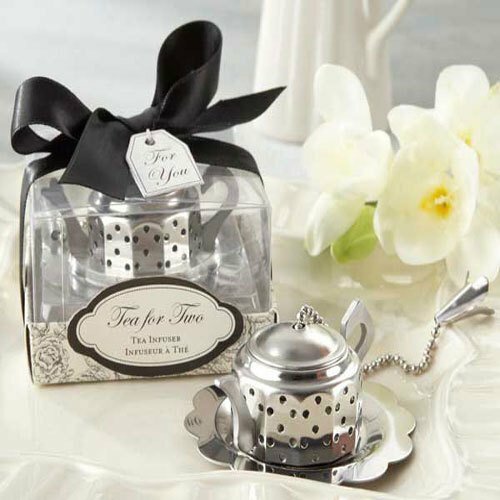 Your first smell of this tea should be vibrant and flowery, with vanilla and caramel notes. Dong Ding is a mellow tea that is yellow-orange in color and that tastes of gardenias, buttery soft vanilla with very slight bitterness. It is fresh and velvety, and leaves a sweet aftertaste in your mouth. Enjoy this tea throughout the day or after your meals with dried fruits or a milky dessert. This tea may be reinfused a few times, each time revealing new depths of flavor. Brewing this tea using the Gongfu method requires a small yixing teapot that you fill 1/4 to 1/3 with tea leaves. Pour hot water (95ºC-100ºC – 203ºF to 212ºF) into the teapot and let it brew for 45 seconds the first time. With each reinfusion add about 10 to 15 seconds each time. Always empty the teapot when pouring tea into your teacups and you may reinfuse this tea up to 5 or 6 times. This is a wonderfully sweet and flavorful tea that you may enjoy whichever way you choose to brew it. Start with these directions and then adjust – more or less tea, more or less brewing time, - according to your own taste. Buy Your Dong Ding Tea Today! 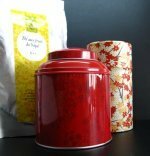 Click on the image or on the link below to purchase from Tea Vivre your Dong Ding Oolong Tea. Try this lightly oxidized tea from Taiwan. Feel its smooth and floral flavor in your mouth. Closer to a green tea this oolong has a wonderful fresh floral aroma and an astrigency that will improve even as your tea gets cooler. This is an autumn tea, harvested in 2018. Sweet and flowery, this Taiwanese tea is the perfect tea to enjoy throughout the day and deserves a spot in your tea collection.